Most of the indian cooking involve too much cooking of vegetables and it loses nutrition. Steamed cooking retains most of the nutrition and seems to be recommended way of cooking everywhere. Other good way is to roast vegetables. So finally i bought steam basket. And to my surprise, it’s very quick to steam and vegetables tasted so good. Carrot never tasted this sweet. If you have never tried, must try. Here’s what i did: Put some water in a pot and arrange your steam basket.. You need very little depending on your vegetables. I added hardly 1/4 th cup. Once water boils, add your cut vegetables. 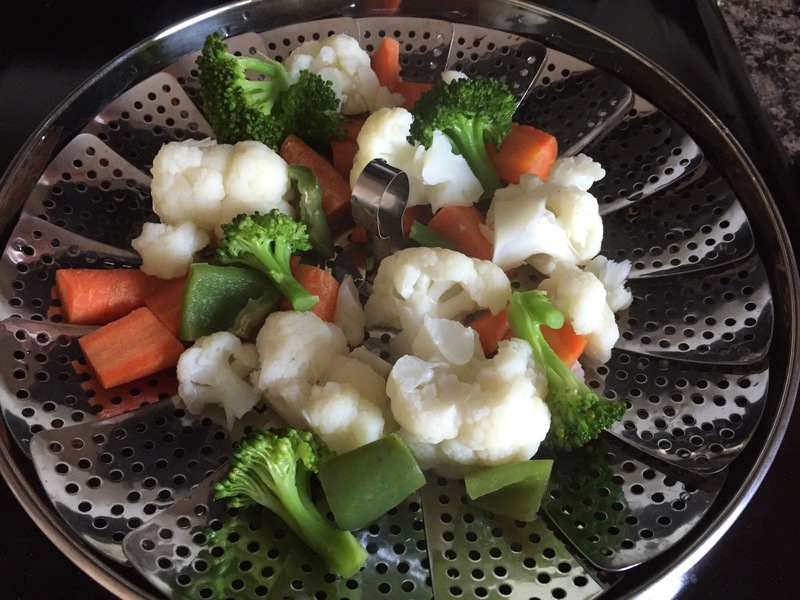 Close the lid and let it steam.I did cauliflower, broccoli , carrots and some green pepper. You can add some greens too. I will try that next. These vegetables took hardly 3-4 mins to cook. They look very vibrant once done. Once done, i added little salt and lemon juice. You can add black pepper if you like. You can add some avocado, tomatoes too after vegetables are done. With a side of brown rice, it was too good. You can have as a side dish too with your regular meal and you will get some nutrition. Try it out. It’s really good and doesn’t taste all blah like what most of us think . 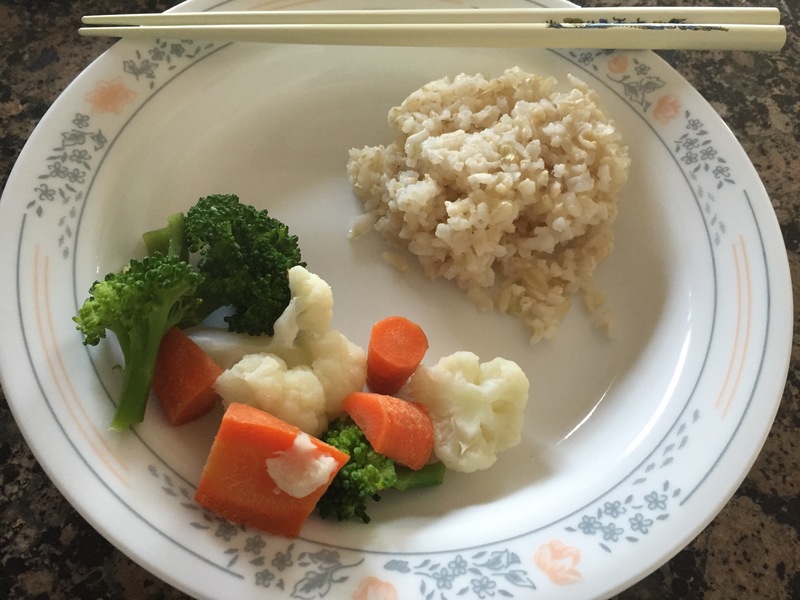 This entry was posted in Side dish, Tips, Yogic Recipes. Bookmark the permalink.